This cell line is available for only academic users. This cell line is available only for academic users. The distribution of this cell line to users belonging to profit-making organization is not allowded by the depositor. 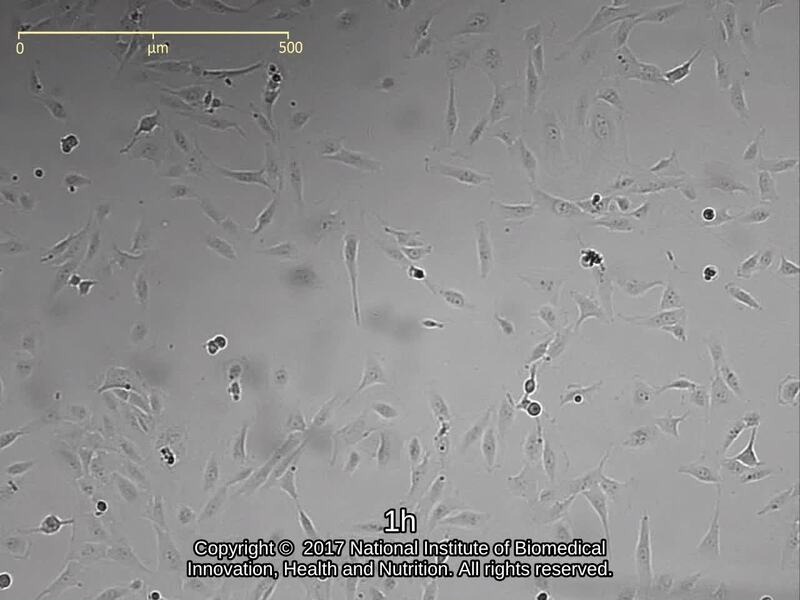 Highly differentiated immortalized human cholangiocyte cell line. Expressing catalytic subunit of human telomerase reverse transcriptase (hTERT) and enhanced green fluorescent protein (EGFP). [Maruyama et al. Transplantation 77: 446-451, 2004] should be cited at the paper submission. The distribution is limieted to academic Japan domestic users and academic oversea users. The following reference should be cited at the publication of paper. Maruyama et al. Transplantation 77: 446-451, 2004. Establishment of a highly differentiated immortalized human cholangiocyte cell line with SV40T and hTERT. Cells were harvested after treatment with Accutase.